Boulevard Plaza is a beautiful complex contains Boulevard Plaza 1 and Boulevard Plaza 2.It is located in Downtown Dubai.The Boulevard Plaza 1 heights is about 552.7 ft and Boulevard Plaza 2 height is about 463.0 ft, whereas the complex have total 37 and 30 floors respectively. The towers construction has started in 2007 and completed in 2010. 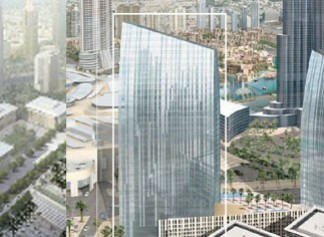 Boulevard Plaza are located in Downtown Dubai, adjacent to the worlds tallest building Burj Khalifa.